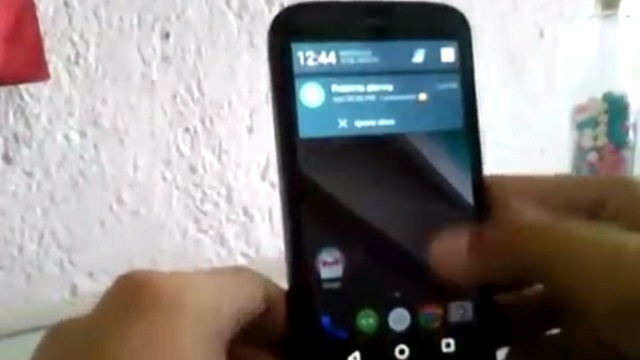 While we are still waiting for the Android L, the OS has been spotted running on the ultra-popular Moto G smartphone. The yet-to-be released Android L version was spotted running on the Moto G showing the refreshed look of the new platform on the handset. Generally affordable smartphones like the Moto G get step-motherly treatment when it comes to new updates. While Motorola has lived up to its promise of offering the KitKat updates on time, seems like it will do the same with the Android L updates. The Android L version running on the Moto G seems to be running very smoothly on the device without any interruptions. Further you can also see the new lock screen, apps and the menu. Now that we have seen the Android L on the Moto G, we can expect to see it on other slightly higher smartphones.